Throughout the past few months of wedding planning, I've been meaning to share bits and pieces of it with you. Unfortunately, I had not followed through with that until today. You may have noticed my serious lack of outfit posts this week and last, and it pains me. I had great intentions of shooting an outfit (meant for today) yesterday when I got home from work...until a massive Midwest thunderstorm rolled in [literally] 3 minutes later. 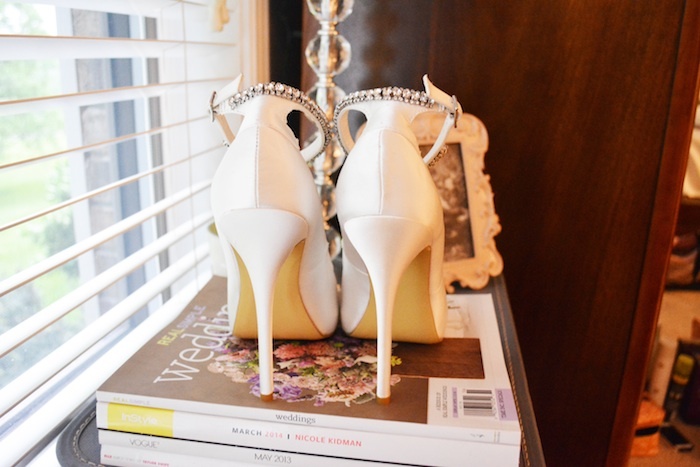 I guess planning and scheduling will only take you so far... That being said, it presented a great opportunity to share a little piece of my upcoming wedding with you - my shoes! I lucked out and found an amazing deal on these from DSW! After trying a few different sparkly silver pairs, these just felt much more like "me." 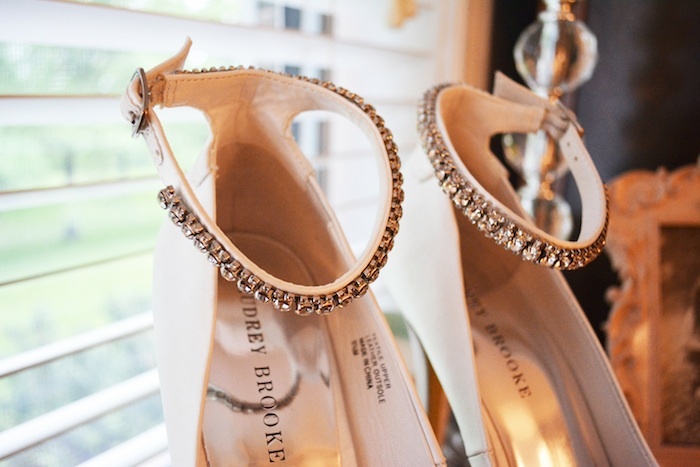 I love that they're a classic shape and in white satin, but that there's a hint of sparkle and glam in the ankle strap. I'm absolutely in love, and cannot wait to wear them on my big day (just 2 1/2 months away)! Oh LOVELY! And what a steal! So excited for you!